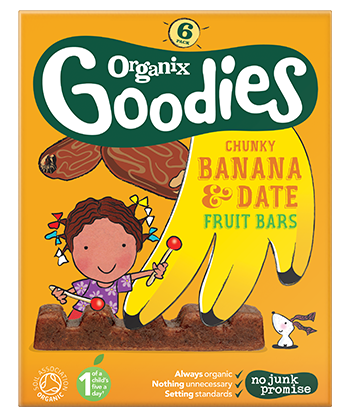 Organix have launched these new Chunky Fruit Bars as part of their Goodies range. They are available in two flavours; banana & date and apple & date. We were sent the Banana & Date bars to try and Elliot was very keen to see what was in the box! The bar is seperated into five bite sized chunks and can be easily broken off. Perfect for little fingers! The consistency is a little sticky but this is a good thing because it kept crumbs to a minimum and makes it an ideal snack to have in the car or on the go. As always with the Organix range, you know you are getting a great quality item and the fruit bar is even one of your child's 5 a day. The only things added are a teeny tiny bit of rice flour to stop stickiness and a a tiny drop of organic sunflower oil to help with the moulding. 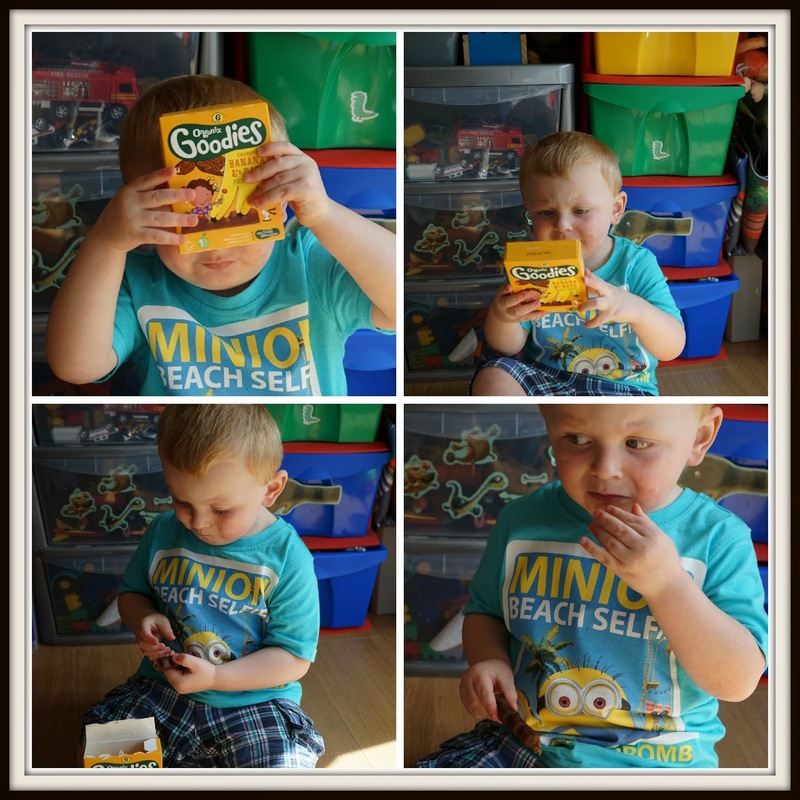 Elliot is a big fan of fruity snacks and he enjoyed these, he especially liked being able to break off the chunks. My husband tried them too and he also gave them a big thumbs up! I thought the bars tasted a bit fudge like, and that can't be a bad thing can it? !